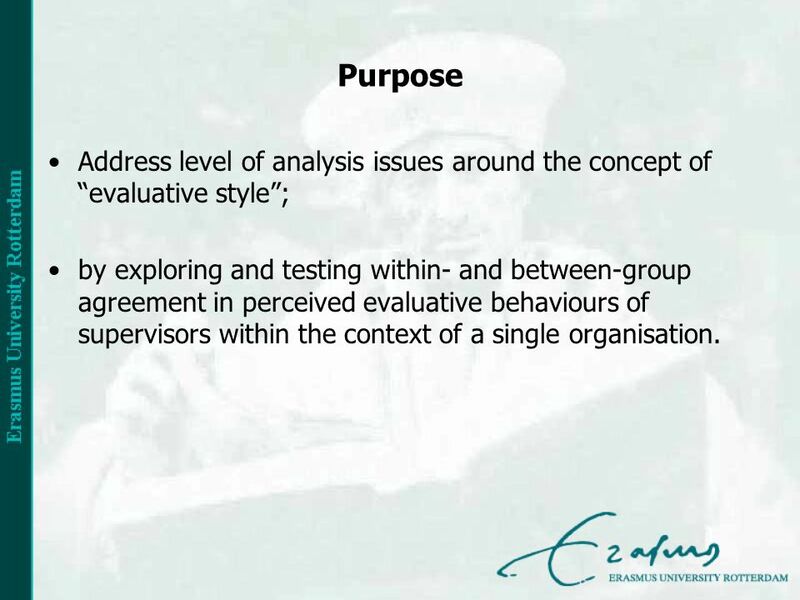 2 Purpose Address level of analysis issues around the concept of evaluative style; by exploring and testing within- and between-group agreement in perceived evaluative behaviours of supervisors within the context of a single organisation. 3 Research questions 1.Do differences in perceived evaluative behaviours across subordinates occur at the level of individual subordinates or do they reflect differences at a higher level, i.e. between-group differences? 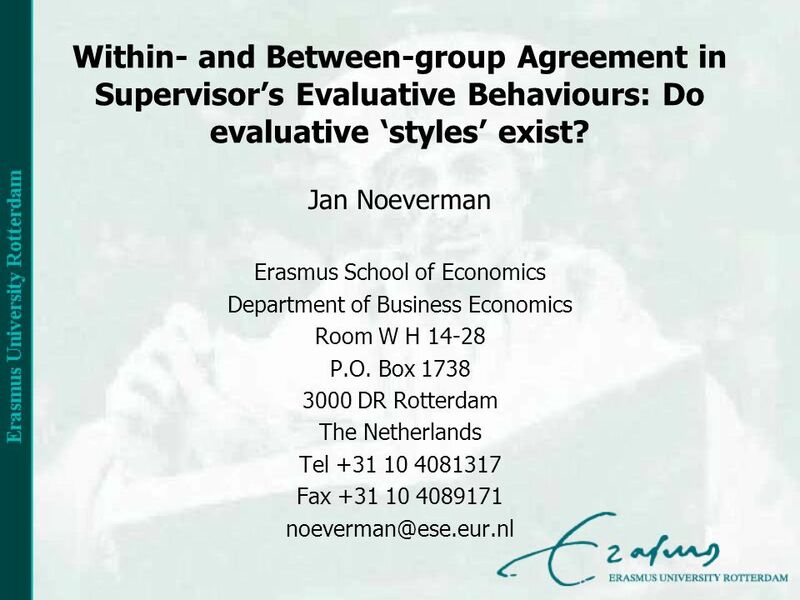 2.Do subordinates who are evaluated by the same supervisor report differences in perceived evaluative behaviours (i.e., within-group differences), or do they report similar evaluative behaviours (i.e., within-group- agreement)? 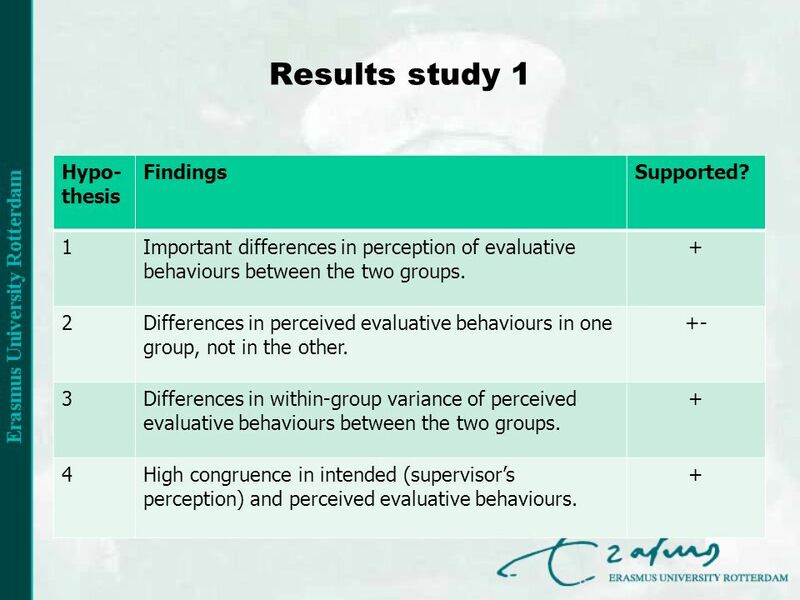 3.If there are within-group differences in perceived evaluative behaviours, do these reflect differences that are intended by the supervisor? 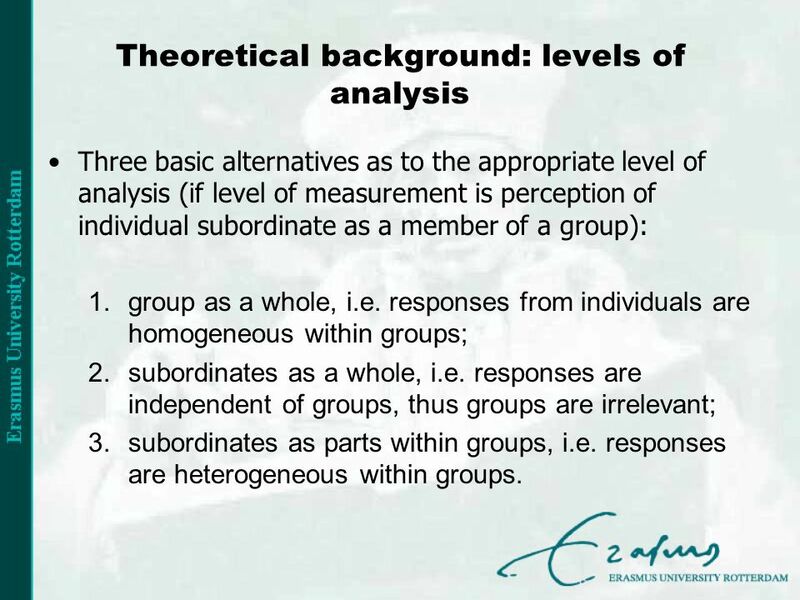 5 Theoretical background: levels of analysis Three basic alternatives as to the appropriate level of analysis (if level of measurement is perception of individual subordinate as a member of a group): 1.group as a whole, i.e. responses from individuals are homogeneous within groups; 2.subordinates as a whole, i.e. responses are independent of groups, thus groups are irrelevant; 3.subordinates as parts within groups, i.e. responses are heterogeneous within groups. 6 Theoretical background: role of leaders in performance evaluation Supervisors usually have (some) discretion in how they apply elements of the performance measurement or incentive system. May lead to subjectivity in performance evaluation. Little attention paid to the use of discretion and its effects on subordinates behaviours and attitudes. 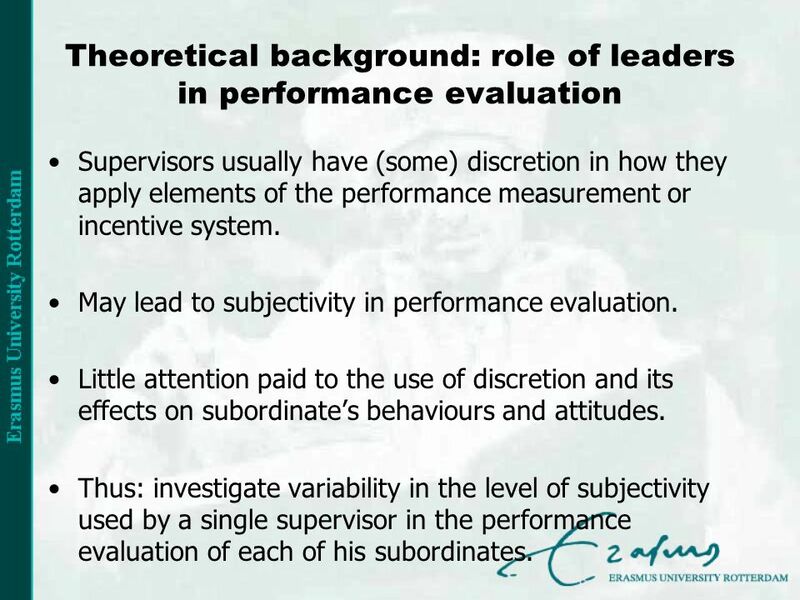 Thus: investigate variability in the level of subjectivity used by a single supervisor in the performance evaluation of each of his subordinates. 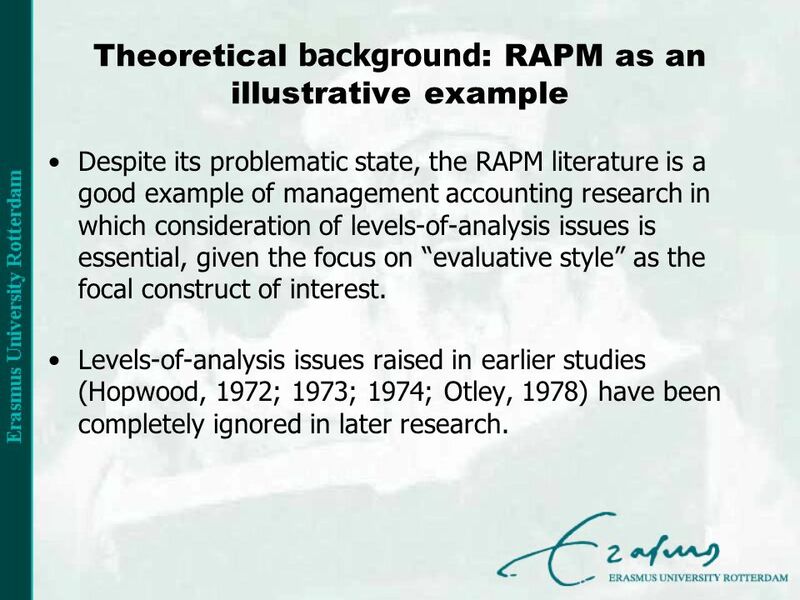 7 Theoretical background : RAPM as an illustrative example Despite its problematic state, the RAPM literature is a good example of management accounting research in which consideration of levels-of-analysis issues is essential, given the focus on evaluative style as the focal construct of interest. Levels-of-analysis issues raised in earlier studies (Hopwood, 1972; 1973; 1974; Otley, 1978) have been completely ignored in later research. 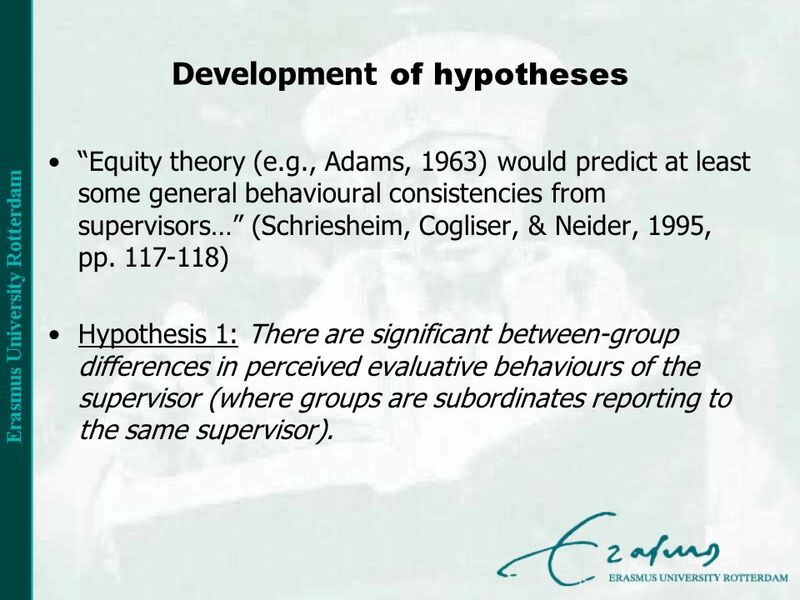 8 Development of hypotheses Equity theory (e.g., Adams, 1963) would predict at least some general behavioural consistencies from supervisors… (Schriesheim, Cogliser, & Neider, 1995, pp. 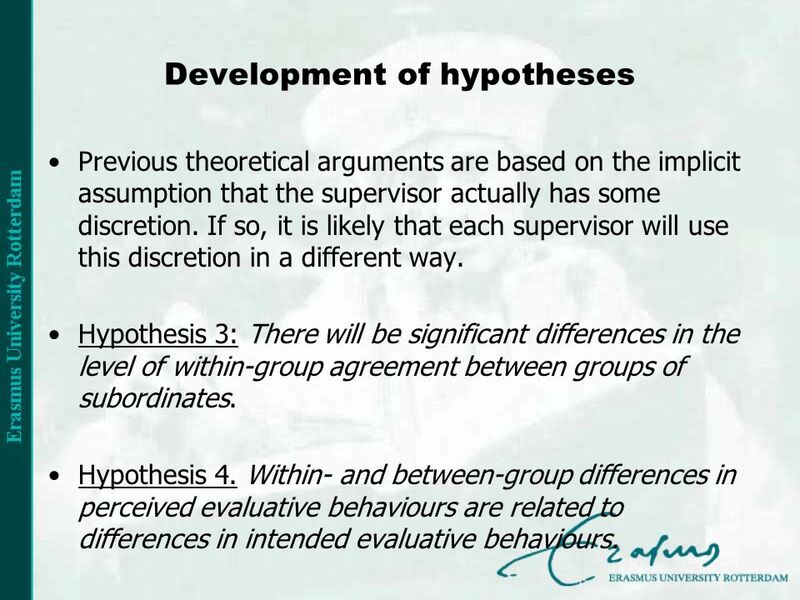 117-118) Hypothesis 1: There are significant between-group differences in perceived evaluative behaviours of the supervisor (where groups are subordinates reporting to the same supervisor). 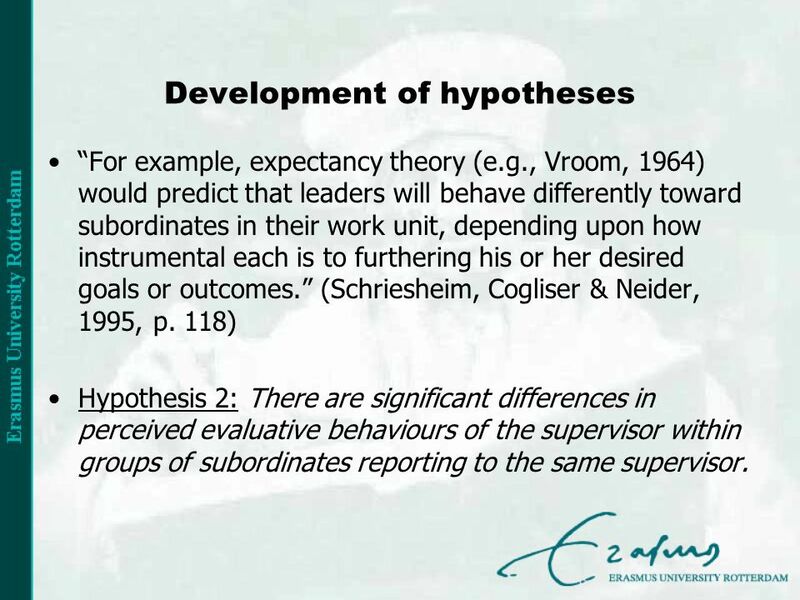 9 Development of hypotheses For example, expectancy theory (e.g., Vroom, 1964) would predict that leaders will behave differently toward subordinates in their work unit, depending upon how instrumental each is to furthering his or her desired goals or outcomes. 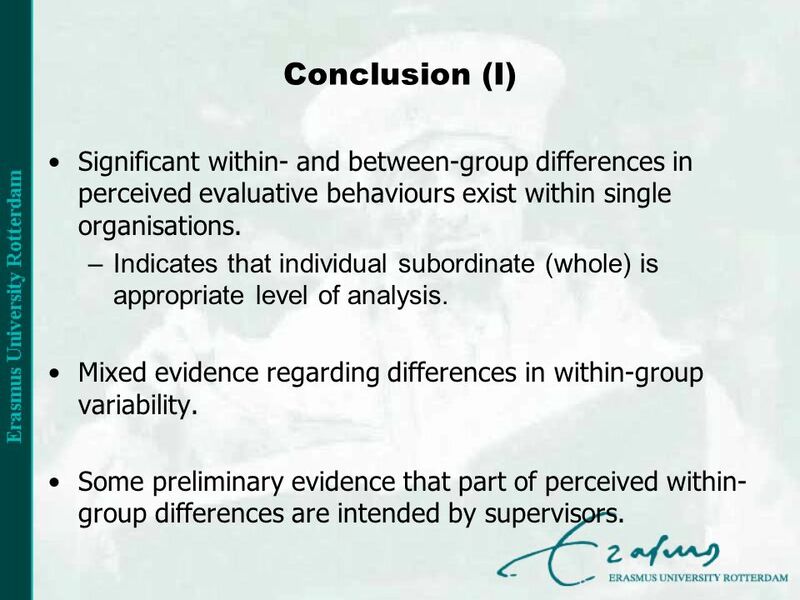 (Schriesheim, Cogliser & Neider, 1995, p. 118) Hypothesis 2: There are significant differences in perceived evaluative behaviours of the supervisor within groups of subordinates reporting to the same supervisor. 10 Development of hypotheses Previous theoretical arguments are based on the implicit assumption that the supervisor actually has some discretion. If so, it is likely that each supervisor will use this discretion in a different way. Hypothesis 3: There will be significant differences in the level of within-group agreement between groups of subordinates. Hypothesis 4. Within- and between-group differences in perceived evaluative behaviours are related to differences in intended evaluative behaviours. 11 Research method: two empirical studies Study 1: –qualitative (exploratory) study; –interviews with two supervisors and three subordinates each in a Dutch service organization (postal service); –general on role of supervisors in performance evaluation. Study 2: –Quantitative (exploratory) study using WABA (Dansereau et al., 1984) and r WG (James, Demaree, & Wolf, 1984; 1993); –Focus on specific concept of role of supervisors in performance evaluation, i.e. feedback quality (Steelman, Levy, & Snell, 2004); –Perception of feedback quality provided by supervisor from 51 subordinates from an accounting firm reporting to eight supervisors. 14 Conclusion (I) Significant within- and between-group differences in perceived evaluative behaviours exist within single organisations. –Indicates that individual subordinate (whole) is appropriate level of analysis. 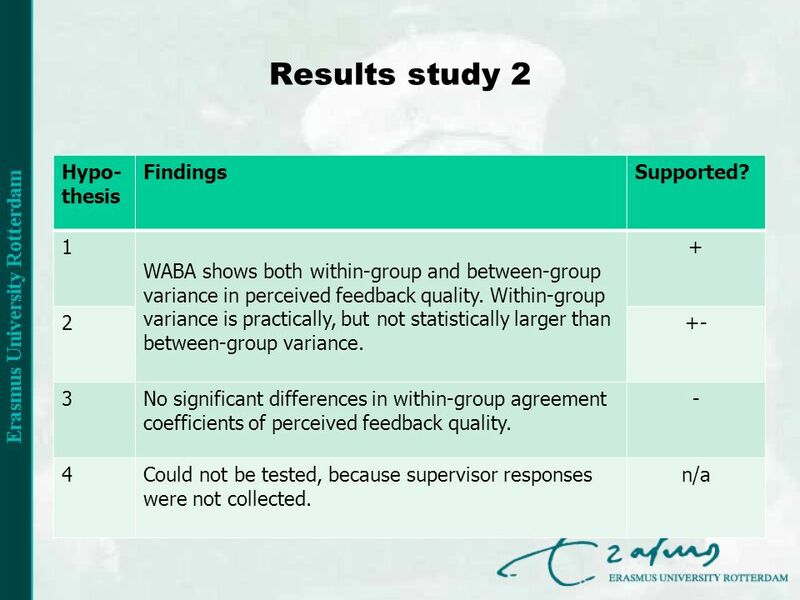 Mixed evidence regarding differences in within-group variability. Some preliminary evidence that part of perceived within- group differences are intended by supervisors. 15 Conclusion (II) Evaluative styles as a characteristic of supervisors are not likely to consist. 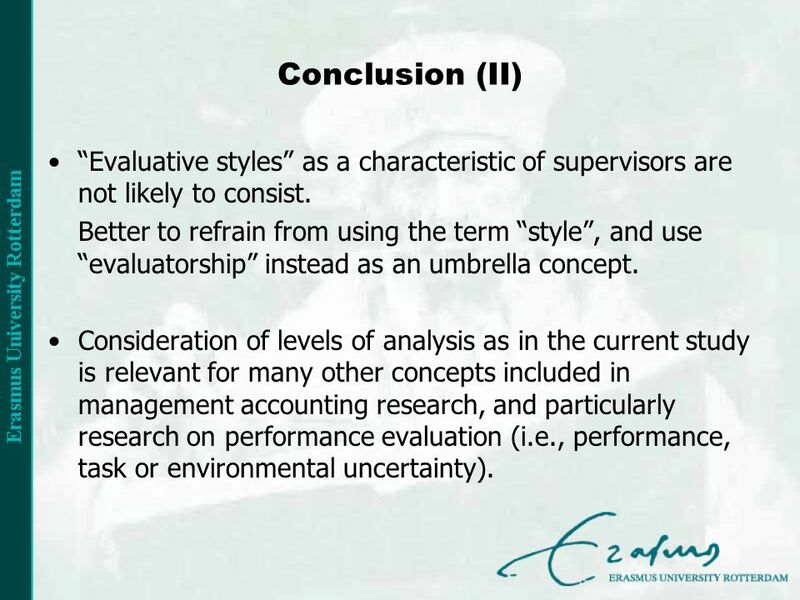 Better to refrain from using the term style, and use evaluatorship instead as an umbrella concept. 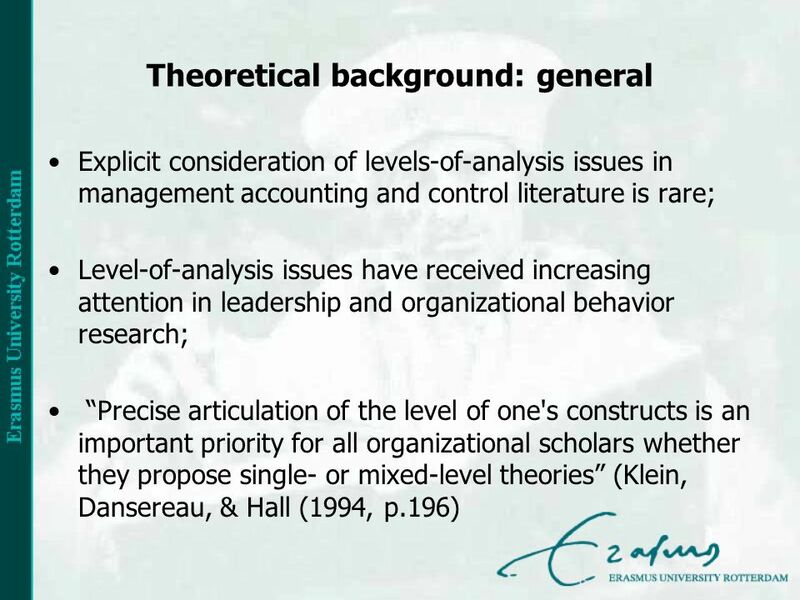 Consideration of levels of analysis as in the current study is relevant for many other concepts included in management accounting research, and particularly research on performance evaluation (i.e., performance, task or environmental uncertainty). 17 Further research Extend the analyses to levels-of-analysis issues in relationships, both bivariate, multivariate, and moderated relationships. 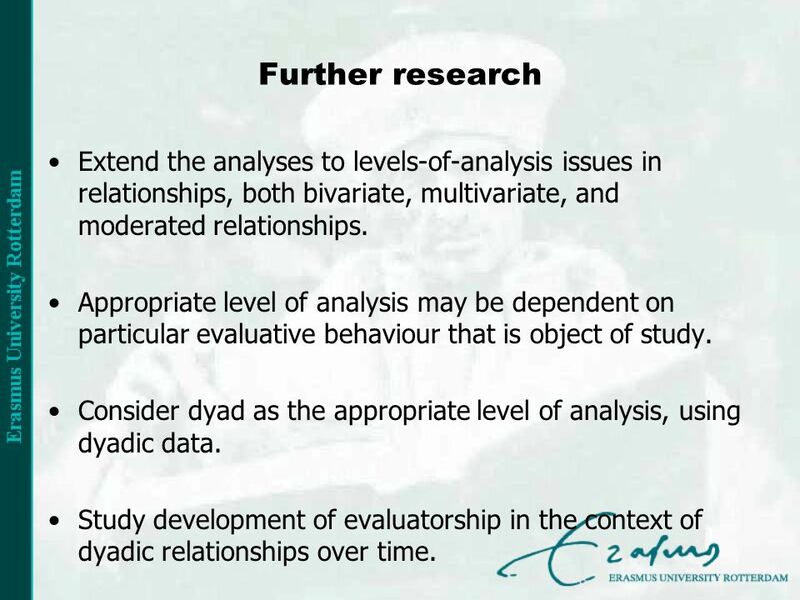 Appropriate level of analysis may be dependent on particular evaluative behaviour that is object of study. 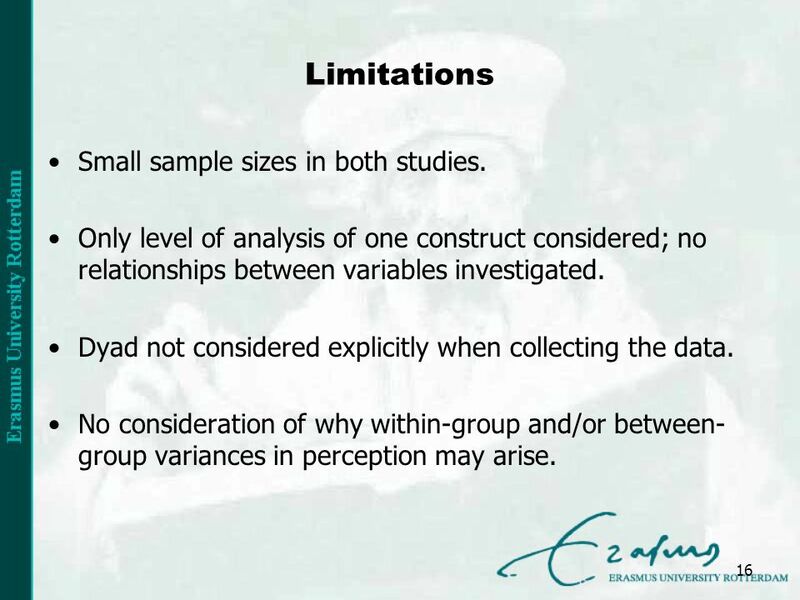 Consider dyad as the appropriate level of analysis, using dyadic data. Study development of evaluatorship in the context of dyadic relationships over time. Download ppt "Within- and Between-group Agreement in Supervisors Evaluative Behaviours: Do evaluative styles exist? Jan Noeverman Erasmus School of Economics Department." Metadisciplinary Outcomes for Science Literacy (Can Assess Now by Standardized Concept Inventory) STUDENT WILL BE ABLE TO… 1. Define the domain of science. Learning Objectives To be able to apply the content theories of Mayo and McClelland and the process theories of Vroom and Adams HL ONLY. Behavior in organization. Sociology and social psychology Field of organizational behavior psychology communication Political science Management science. 1 Writing the Research Proposal Researchers communicate: Plans, Methods, Thoughts, and Objectives for others to read discuss, and act upon. Slide 5.1 Saunders, Lewis and Thornhill, Research Methods for Business Students, 5 th Edition, © Mark Saunders, Philip Lewis and Adrian Thornhill 2009.